Whether it’s one or one hundred, our process is designed for efficiency. High quality raw materials, a high speed cnc machining center and state-of-the-art 3 & 4 axis Machines, allow us to produce your parts in a fraction of the time, simple or complex, we can deliver them to you in days, not weeks (subject to the complexity of the parts design). 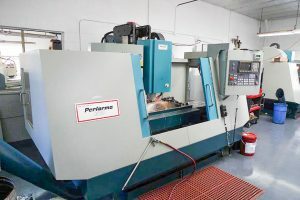 Our state of the art facility, clean environment and high speed CNC Machining center is ready to deliver the custom CNC parts you need to keep your projects moving forward. When only one or maybe a few parts are required, we’ll work with you to make sure you have the CNC machined parts you need when you need them. After all, you have customers waiting and you don’t want to let them down, And we won’t let you down. We specialize in fast CNC machined parts. No matter what CNC Machined parts you need, no matter how complicated, we’ll put it in your hands-fast. Start a quote and see the difference.